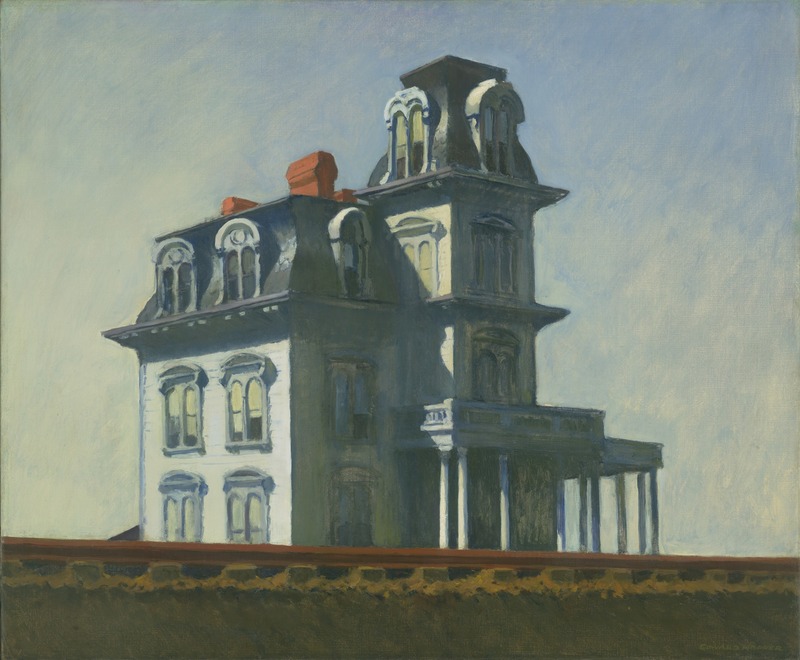 The house in Days of Heaven – like Norman Bates’s home in Psycho – was inspired by Edward Hopper’s 1925 painting House by the Railroad. 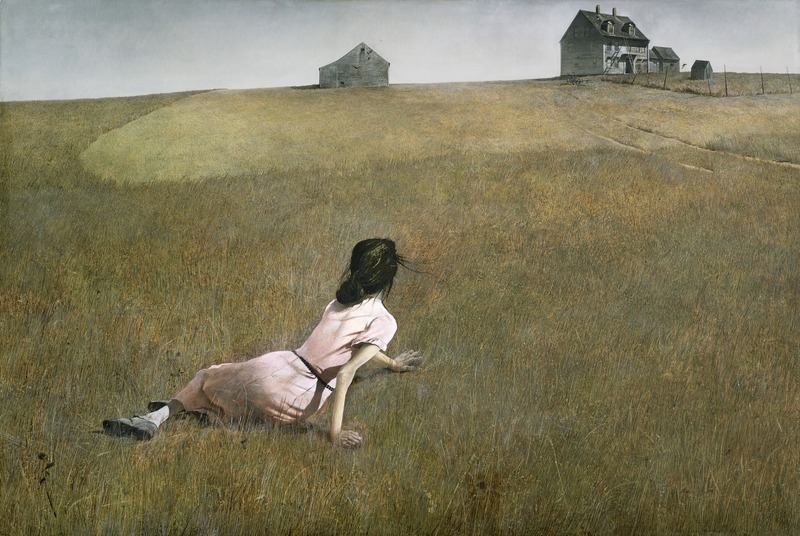 The work of Andrew Wyeth also influenced the film, particularly 1948’s Christina’s World. Both paintings can be seen below (Hopper on top, followed by Wyeth). 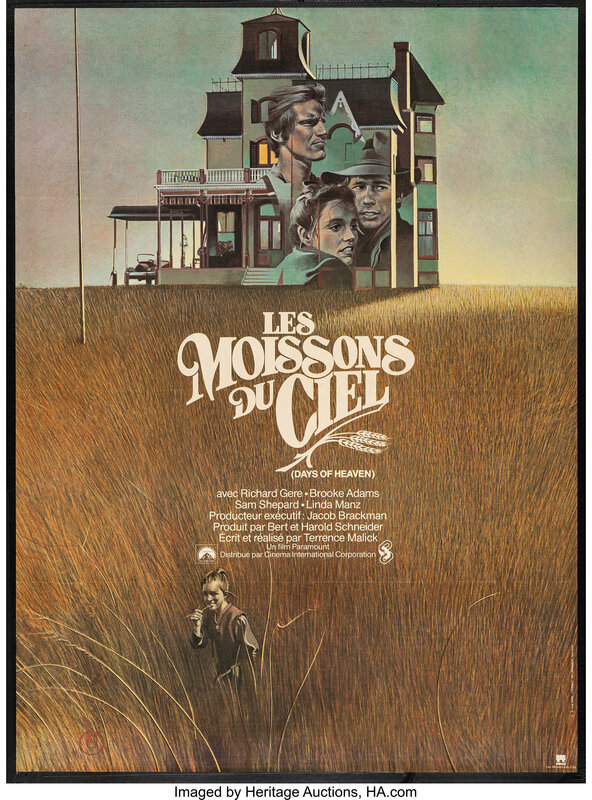 The poster comes from the auction site Heritage Auctions, which features hundreds of incredible news pieces of movie art for sale every week.